Last week, pro-EU protesters in Ukraine took control of Ukraine’s government after President Viktor Yanukovych left Kiev for his support base in the country’s Russian-speaking east. The country’s parliament sought to oust him and form a new government. They named Oleksandr Turchynov, a well-known Baptist pastor and top opposition politician in Ukraine, as acting president. In the southern part of the country, Crimean Prime Minister Sergey Aksyonov, elected in an emergency session last week, said he asserted sole control over Crimea’s security forces and appealed to Russia “for assistance in guaranteeing peace and calmness” on the peninsula. On Saturday, Russian president Vladimir Putin asked his own parliament for approval to use the country’s military in Ukraine. The request comes after Putin has already sent as many as 6,000 troops into Crimea. Why would Russia want to invade Crimea? In 1997, Crimea and Russia signed a treaty allowing Russia to maintain their naval base at Sevastopol, on Crimea’s southwestern tip (the lease is good through 2042). The base is Russia’s primary means of extending military force through the Mediterranean. 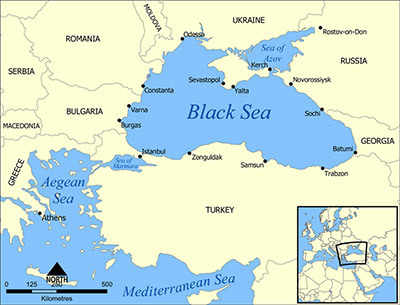 (The Black Sea is connected to the Mediterranean Sea through the Bosphorus Straits.) Without a military base in Crimea, Russia would be weakened as a global military power. But Putin didn’t just ask permission to use the military on Crimea. Russia’s parliament authorized Russia’s military forces to enter “Ukraine,” giving themselves a legal cloak to target more than Crimea. Where (and what) exactly is Crimea? Crimea is a semi-autonomous region located on a peninsula of the Black Sea in southern Ukraine. The Autonomous Republic of Crimea is an autonomous parliamentary republic within Ukraine and is governed by the Constitution of Crimea in accordance with the laws of Ukraine. The region chose to become part of Ukraine after the dissolution of the Soviet Union. In 1994, the U.S., the U.K., and Russia signed the Budapest Memorandum, an international treaty providing security assurances by its signatories in connection to Ukraine’s accession to give up its nuclear weapons. The deal included security assurances against threats or use of force against the territorial integrity or political independence of Ukraine. As a result Ukraine gave up the world’s third largest nuclear weapons stockpile. The Obama Administration “reconfirmed” these security assurances in 2010. 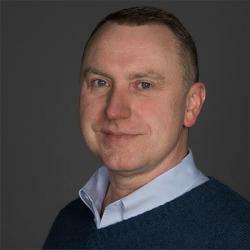 Does the Budapest Memorandum require the U.S. to protect Ukraine? Not really. The treaty is brief and rather vague, saying only that the signatories “reaffirm” their commitment to Ukraine and “respect” their independence and existing borders. The Russians have broken that commitment, but the U.S. (and, for that matter, the U.K.) is unlikely to take any military action against Russia because of this treaty. President Obama has said, “Any violation of Ukraine’s sovereignty and territorial integrity would be deeply destabilizing.” But there isn’t much President Obama – or anyone else in the West – can really do to prevent Russia from harassing Ukraine. Explainer: What’s Going On in Crimea?